Short Term Trading forex trading links forex trading books market statistics trader values euro and us dollar Shocks Crashing US Stocks: Will Price Increases Continue in 2013? The good news is that consumer spending is still resilient. Retail sales bounced back from -0.3% in October and increased +0.3% month-on-month in November. Core retail sales (excluding gasoline, building materials, and food) are accelerating and jumped almost 6% on a three-month annualized rate of growth. The bad news is that a strong rebound in private consumption is not to be expected, since the fiscal cliff is not yet resolved, and unemployment stays high, at 7.7%. In fact, retail sales in November were weaker than the September numbers, and sales of non-durable goods were down overall. To support the economy, the Fed announced last week that it will purchase 45 billion long-term US Treasuries on a monthly basis. Interest rates will remain low, as long as the unemployment rate will stay above 6.5%. Can the Fed fulfill its goal of a lower unemployment rate? If history repeats itself, then the achievement of that goal would only be temporary. Since 1948, long-term trends in the unemployment rate lasted for nine and thirteen years (1952/61 and 1969/1982) before peaking. They were both characterized by a total of five waves. Three of them were raising waves and two were declining waves. The decline during the fourth wave continued for four and two years (1975-1979 and 1958-1960). Top to bottom, declines extended for 38% and 33%, and the fifth wave rose for one year and three years (1960-1961 and 1979-1982). How these numbers fit in current economic scenario. The unemployment rate began to rise in 2000. The fourth declining wave started instead in 2009 when rates were at 10%. As a result, unemployment could bottom out between 2013 and 2014 at around 6.2%–6.7%. The final wave in the unemployment rate is still to come and could be seen between 2014 and 2017, if history repeats its course. The Fed pro-growth approach can support stock prices for now. US company earnings are still performing well, despite the economic slowdown, while profit margins should improve with the labor market only mildly growing. The European crisis is fading, despite Italy having new political elections before the spring. In effect, US Treasury prices seem to be topping at the current levels. Democrats and Republicans should find a compromise over the fiscal cliff by the first part of 2013. Then, the Fed’s commitment to support employment will increase inflation expectations. Technically, US ten-year note prices are currently leaning against the upper channel line of the past 26 years. A tentative breakout occurred in July and has apparently failed. In fact, the market is extremely overbought. According to the latest Commitment of Traders (COT) report, future funds have accumulated about 400,000 contracts of the ten-year treasury notes, which correspond to the highest level of the past four years. What is left to buy if most of the major players are already in the market? 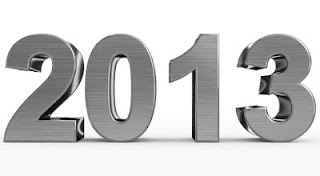 In 2013, the futures prices of the ten-year notes could decline to 132–130.